This is definitely one of the perfect food trucks for a summer lunch. I will be getting food from them again. Wow.. double whammy today - paid a lot and received a poor meal that I couldn't finish. I paid $19 for a crab and lobster salad and it was awful. Sorry guys but you need a major re-work on your menu and quality.. yuk. Poor quality crab an lobster. Today (7/10/14) I ordered the Lobster Sandwich and homemade lemonade - both were fantastic! 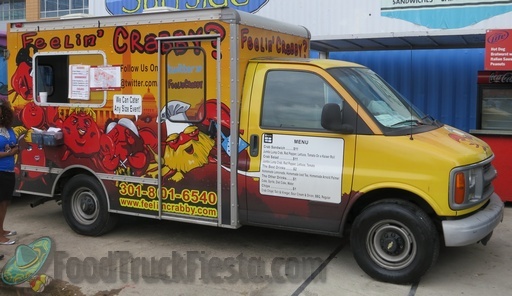 I strongly recommend the Feelin' Crabby food truck! I must also add that the service was surprisingly quick and the guy who helped me was quite friendly. I will absolutely visit this truck when it comes back to Van Ness. The crab truck told me he would try to come to my job on Wednesday and he didn't come back 🙁 Anywho, my meal was great. I got a crabcake sandwich and crab soup. Went to redeem my Groupon and [redacted] could not log on to his groupon\'s merchant account to fill my order. Very unprofessional and unsatisfied. Will be contacting Groupon to get a refund and will not be back to this truck to spent my money! I was feelin so crabby I took the subway to the Navy Yard from GW for lunch. When I returned to work, could not wait to bite into my sandwich. It was good and fresh. 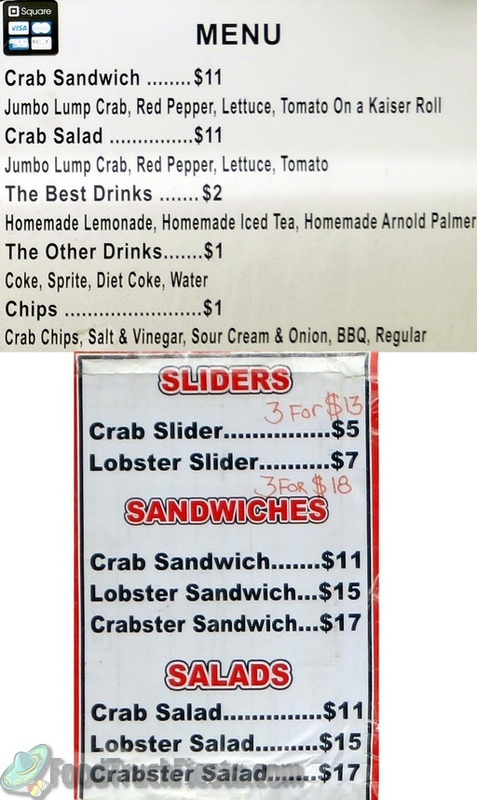 I wanted the Lobster sandwich, but by the time I got to the front of the line, he had sold all of the lobster except for a slider, so I got that and a crab sandwich. I ate both by myself, all alone in my office. It was worth the subway ride. All fresh lump crab meat and a buttery bun with fresh mixed greens and tomatoes. YUM!!! They also run offer for free chips and drink. I'm almost there. Crab salad was amazing. Lots of lump crab meat, salad greens, grape tomatoes, and just the right amount of dressing. This is by far the best crab salad I have ever had. I usually order the crabster salad- well seasoned and large chunks of crab and lobster. No salad today - ordered sandwich - roll nice, firm and buttery. With all that said, just don't think it is worth "18.50". $15.00 dollars - YES - but not 18.50. Don't thing I can swing it anymore! Crab cake was amazing, no filler, just crab. One of the best I've ever had anywhere. 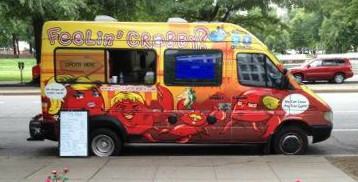 Feelin’ Crabby launched on June 2nd in Washington, DC! They serve crab sandwiches and salads. Sometime in July 2013, they launched a 2nd truck (actually a van).